In the last blog post we I introduced vSphere Integrated Containers or VIC but to be quick and simple I used binaries from Bintray instead of building it from source. If you want to build from source it’s pretty simple, just go to the GitHub page and clone the repo, the “README.md” file will give you all the info you need. The best way to do this is to take advantage of the containerized approach that will spin off a container with all the prerequisites packages to build the VIC executables so that you don’t have to install them, plus this won’t modify your system at all so a pretty clean way to take. Just keep in mind that if you don’t give your VM enough RAM the build process will fail because gcc is not capable of allocating enough memory; my VM had 2 GB of RAM and that was good enough. The build process takes only a few minutes to complete. After that you can find the executables in the “bin” folder and from there you can use the commands of my previous post. So you have been playing with containers for a while now using Docker but once you start having several containers running in many VMs you find it difficult to manage or even remember which container runs on which VM. VMware answer to this problem is called vSphere Integrated Containers (or VIC). With VIC your Docker Hosts (the VMs that are running the containers) will not be a blackbox anymore but they will be capable of showing up like VMs in your vCenter server, exposing every property a VM holds. You can get VIC here: https://vmware.github.io/vic/ but you will need to build it from source. I will use the template I created in a previous post to deploy and manage VIC on my vCenter. Deploying from template doesn’t seem to work with PhotonOS so the customizations will need to be handled manually, so I just cloned the VM into a new VM with the name of “VIC”. You should be able to see a rule called “VCH” enabled. Now you have to create a Virtual Distributed PortGroup, I called mine “Docker-Bridge”. INFO[2016-12-24T18:27:47Z] vDS configuration OK on "Docker-Bridge"
INFO[2016-12-24T18:27:47Z] Firewall status: ENABLED on "/Datacenter/host/Cluster/esxi.vmware.lab"
INFO[2016-12-24T18:27:47Z] Creating virtual app "virtual-container-host"
INFO[2016-12-24T18:27:47Z] Network role "management" is sharing NIC with "client"
INFO[2016-12-24T18:27:47Z] Network role "public" is sharing NIC with "client"
You might get an error similar to “Error response from daemon: client is newer than server (client API version: 1.24, server API version: 1.23)”, this is because the docker client installed in PhotonOS can be newer than the Docker API endpoint. If you try again now you should be good. You can see the Docker API endpoint represented by the VM called “virtual-container-host” but also the container itself! As you can see we have information about what is running, the container ID, the internal container IP Address etc. You can even go ahead and edit the virtual hardware like if it was a VM! Notice how it’s using the vdPortGroup that we created earlier. 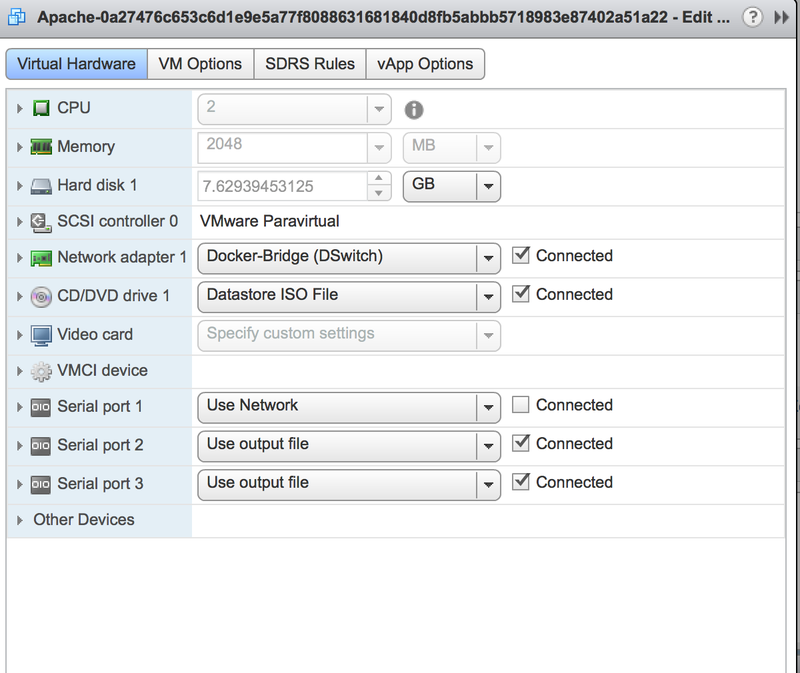 And this is the coolest way ever to use containers with vSphere! Note: Just remember that since a vdPortGroup is mandatory this means you need vdSwitch and so you must be running Enterprise Plus edition of vSphere. 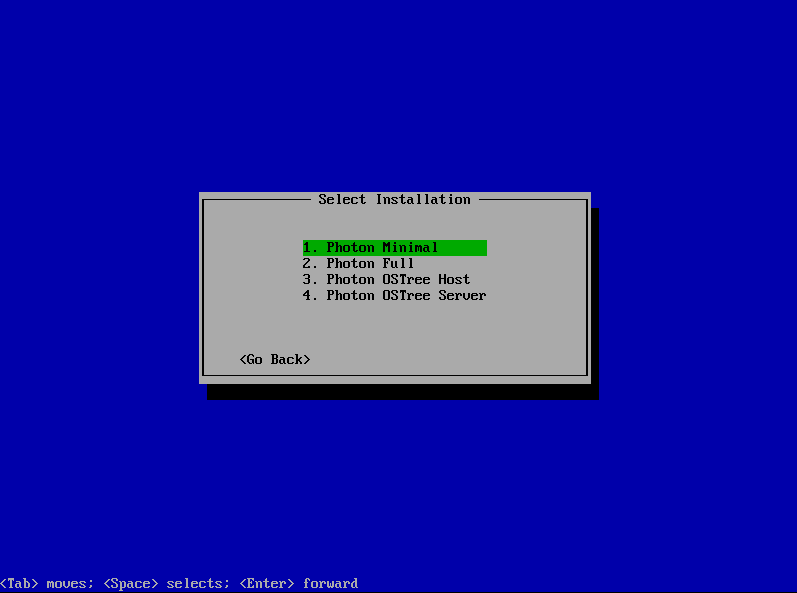 Update: VIC is now GA with vSphere 6.5 for all Enterprise Plus users.